Beaufortia kweichowensis is a species of gastromyzontid loach native to the riverine fauna of China in Asia. 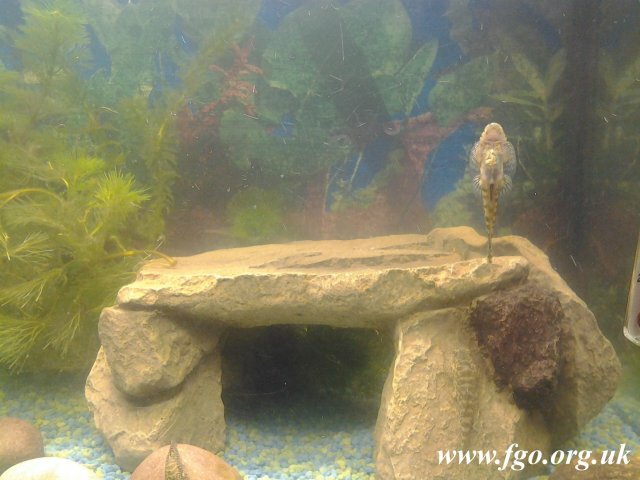 The common names for this popular aquarium species are Chinese hillstream loach, Hong Kong pleco, butterfly fish, hillstream loach, and Chinese sucker fish. 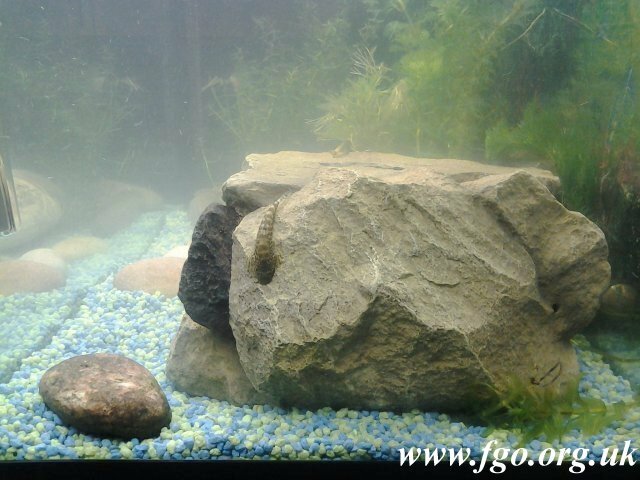 I managed to get my aquariums down to two both tropical, a Fluval 800 Deep (approximately 115 litres) and a Fluval 1200 Duo (approximately 148 litres). However a new pet store opened locally and so I thought that I had better check it out, well you do, don't you. 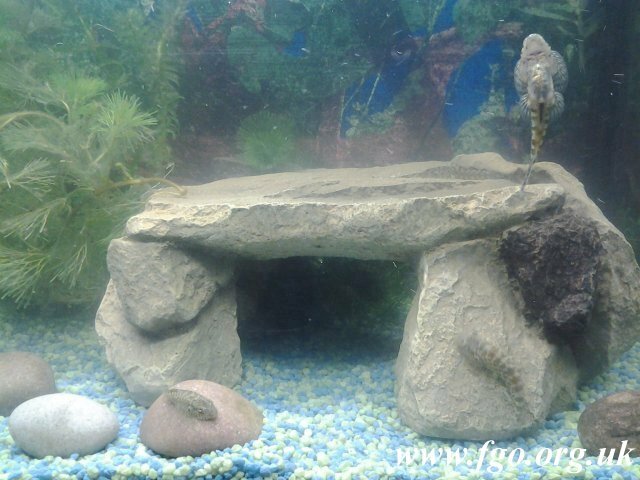 I have had hillstream loach before and have been looking to get some more but never been able to find any. I am now pleased that I went because they had them in stock. 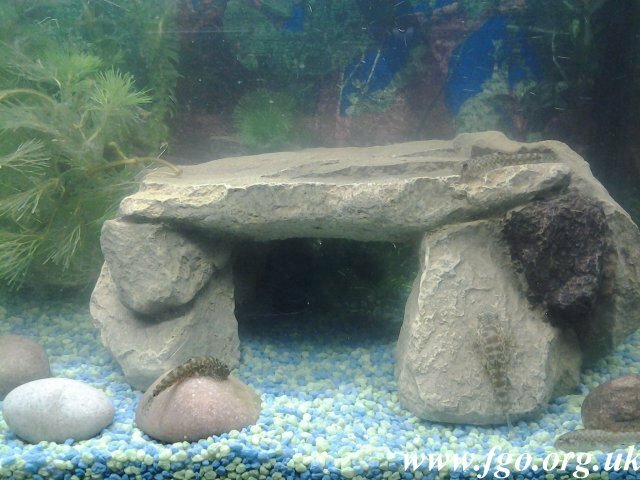 Fortunately I just happened to have a Fluval tank 500 (approximately 36 llitres) that I was using just for plants so it was a temperate tank already set up, so I bought four. This tank will be kept just for these fish, the filter that I am using is more than adequate so there won't be a problem as they grow. This photograph is the only one taken with flash. 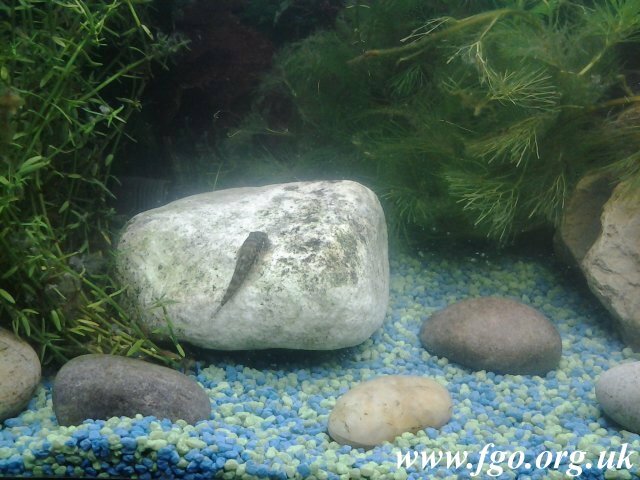 Since these photographs were taken I have also added an airstone. As you can see they are still very small but I will publish more photographs as they grow.